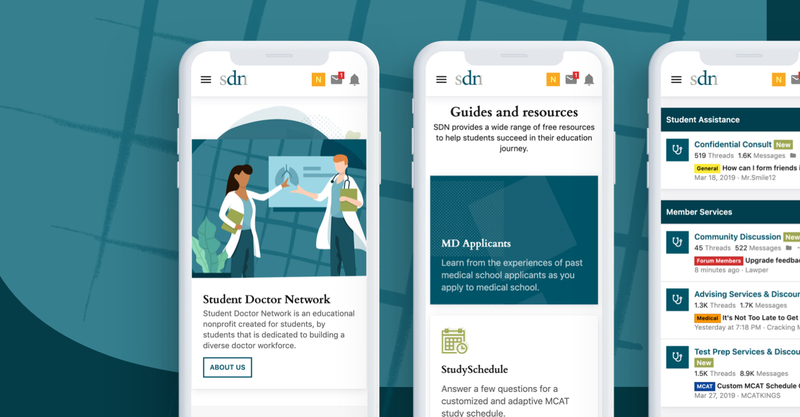 Student Doctor Network is a non-profit organization helping medical students become doctors by providing an active community, articles, and other resources. The client approached us to help them re-energize their website and community and highlight their various resources more. 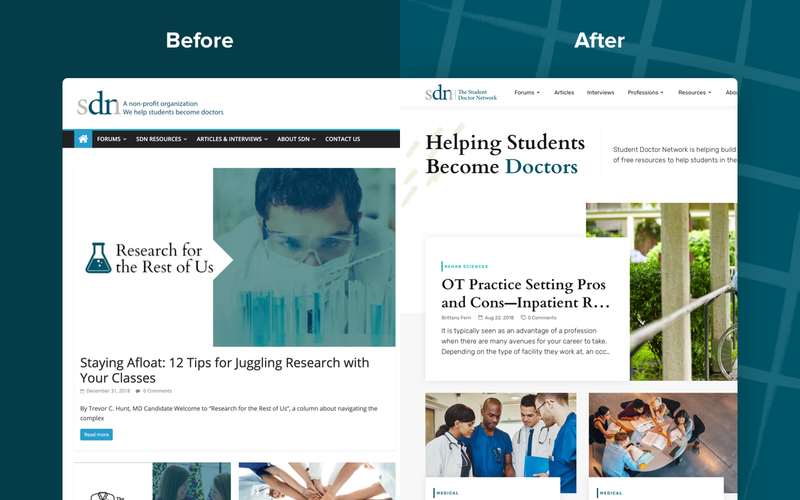 Student Doctor Network had started to outgrow their website and software and needed to level up the sophistication to match their comprehensive resources. 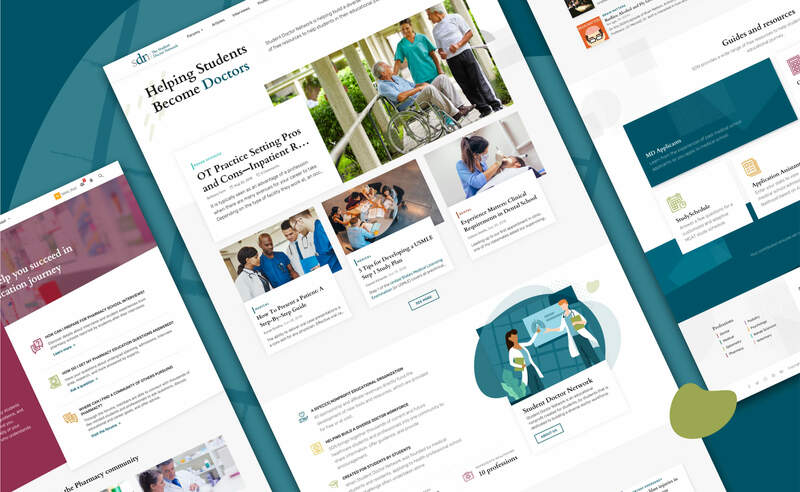 The main goal was to increase engagement with their robust library of content with a focus on cleaning up the organization of the page structures. The previous website architecture was fragmented and left users confused about its utility as a resource hub of medical information. Our approach involved consolidating the website architecture so as to increase the ease of navigation. 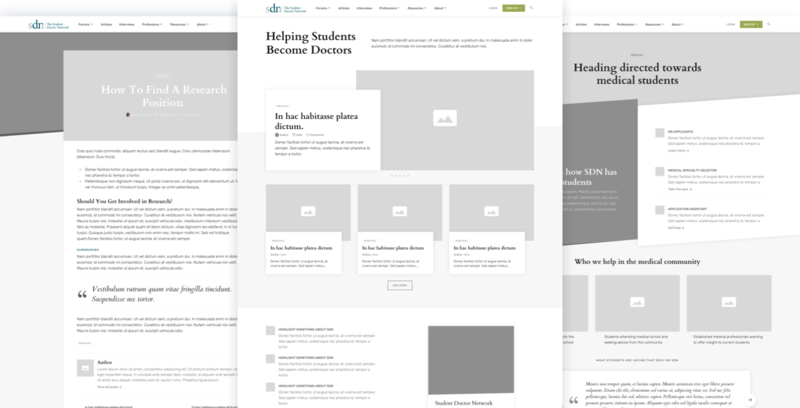 We also created a flexible design that allowed SDN to showcase very different pieces of content: articles, podcasts, interviews, and resources. Our partnership with Student Doctor Network has been a delight as we've collaborated on several different projects. This project was a massive undertaking but are so appreciative of the team behind SDN to let us have free creative reign and lend help along the way!